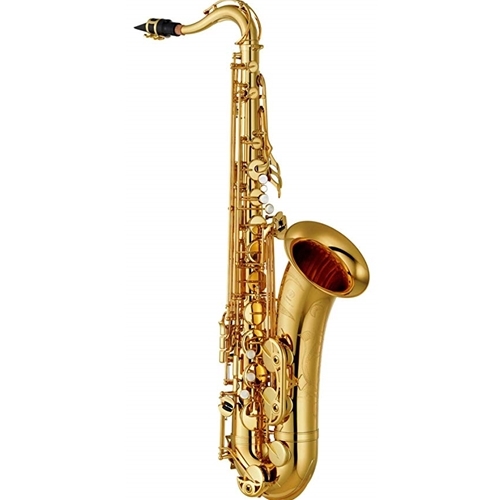 The 480 have many of the same features found on our professional saxophones that provide these intermediate saxophones with greater playability and optimum tone. These are instruments that bring out the best of the performer and ideal choice for up and coming players. Hand engraving A hand-engraved pattern on the bell adds an extra touch of class. Compatible with other necks The redesigned octave key system gives players the flexibility to choose between the included 62-style neck and those designed for the Custom Z and Custom EX Yamaha saxophones (sold separately). Improved Low B-C# connection An improved mechanism from low B-C# ensures the consistent closing of the low C# key and promotes a clear response from notes in the low range of the instrument. Neck The 62-style neck has been designed for improved tone and response. Key guard The separate key guards feature adjustable screw cap stoppers for professional-style technical adjustments. Left-hand seesaw key The left-hand seesaw key has been designed to increase playability as well as provide a more comfortable feel.